Actor Lee Pace is one of the rising stars of stage acting that is looking to achieve great success in theatre as he has done in television and movies. He is best known for appearing in Halt and Catch Fire (2014-2017), Pushing Daisies (2007-2009), The Hobbit Trilogy, and The Twilight Saga: Breaking Dawn – Part 2 (2012). The Golden Globe Award and Primetime Emmy Award-nominated actor is set to play Ronan the Accuser in Captain Marvel (2019), a role he played in the film Guardians of the Galaxy (2014). Read to find out more about his early beginnings, sexual orientation, and other facts. Pace was born Lee Grinner Pace, the first of three children to Charlotte (née Kloeckler) and James Roy Pace, on March 25, 1979, in Chickasha, Oklahoma. His mother worked as a school teacher while his father was an oil business-related engineer. His two younger siblings are named Sally and Willam Pace. While growing up, Pace spent some time in Saudi Arabia where his father worked with an oil company. The family however later relocated to Houston, Texas where he attended Klein High School. Inbetween his studies, Pace was acting at Houston’s Alley Theatre, appearing in the theatre’s productions of The Spider’s Web and The Greeks. He at one time totally quit school to focus on his career but however returned to complete high school and graduate. After high school, Pace applied to the prestigious performing arts school Juilliard in New York which he got accepted to attend in 1997. He was a part of Group 30 which included other famous actors such as Tracie Thoms and Anthony Mackie. At Juilliard, Pace was noted to have promising talent as he appeared in several plays before graduating in 2001 with a Bachelor of Fine Arts degree. After leaving school, Lee Pace moved to star in several off-Broadway plays, most notably Craig Lucas’ Small Tragedy where his performance earned him an Outstanding Actor nomination at the Lucille Lortel Awards. In 2003, he moved to Hollywood to star in Soldier’s Girl where he put in a breathtaking performance that earned him a Golden Globe Award nomination among many others. He, however, took home a Gotham Award for Breakthrough Actor. In 2007, after having appeared in films like The White Countess (2005), Infamous (2006), The Good Shephard (2006), and the two-character off-Broadway play Guardians, which he earned a second Lortel Award Outstanding Actor nomination for, Pace landed the lead role in the ABC comedy-drama series Pushing Daisies. During his time on the show, he was nominated for a Saturn, Satellite, Primetime Emmy and Golden Globe Award. In recent times, Pace can be found in the two-part Tony Kushner play Angels in America: A Gay Fantasia on National Themes at the National Theatre. He has also appeared in The Party’s Just Beginning (2018) and Driven (2018). Lee Pace is indeed gay, or in his words, writing that he was a “member of the queer community.” This revelation follows longtime speculation about his sexual orientation after actor Ian McKellen, who he featured with in The Hobbit movies, accidentally made this known to the public during an interview in 2012. Pace, who has played a lot of queer roles in both Hollywood and Broadway; the transgender girl Calpernia Addams in A Soldier’s Girl (2003) and the deeply closeted gay Mormon Joe Pitt who struggles with his sexual identity in Angels in America: A Gay Fantasia on National Themes (2018), made this known to the public on Twitter in March 2018. His family had however been aware ever since he was in high school, with him first coming out to his sister Sally and then to his parents, who he said showed him support. Is He Dating Anyone? Who Is His Girlfriend? As mentioned above, Lee Pace is gay. However, before his outing, he had said he had in the past dated both men and women so it would not be accurate to label him with a particular sexual identity. He notably appeared on the red carpet with actress Judy Greer on the premiere of A Single Man (2009), fueling speculation that the two were an item. The name of his partner is unknown but Pace, however, revealed that he is dating someone who works in the fashion industry as an executive. He was born on March 25, 1979, in Chickasha, Oklahoma. At a time, he lived in Saudi Arabia when his father was working in an oil company. He quit schooling at a time to focus more on acting but later went back to the performing arts school, Julliard where he graduated in with a Bachelor of Fine Arts degree in the year 2001. His first award as an actor came in 2003 as a Breakthrough award from Gotham Award in recognition of his work in Soldier’s Girl. 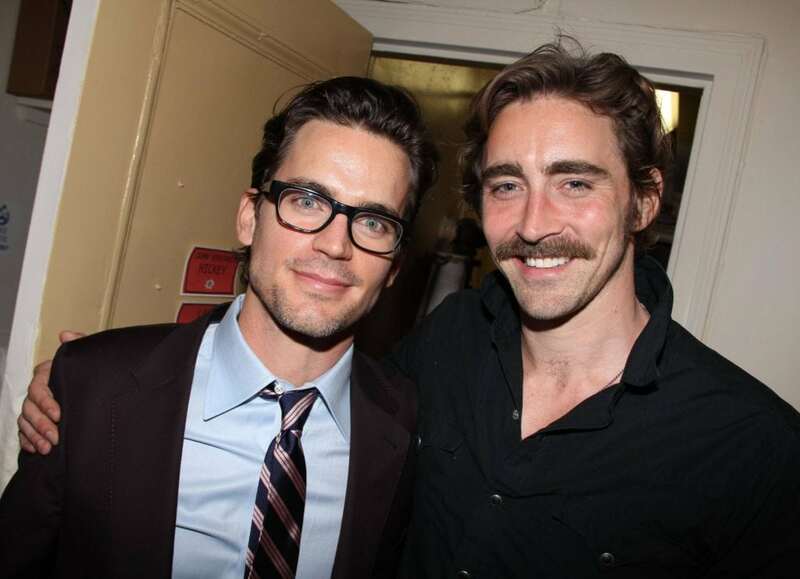 Lee Pace is gay but has not revealed the exact identity of his partner. Pace stands at a height of 6 feet 3.75 inches and weighs 94 kg or 207 lbs. The actor has a net worth of $5 million. With more works certain to come his way, this figure will definitely rise the more.